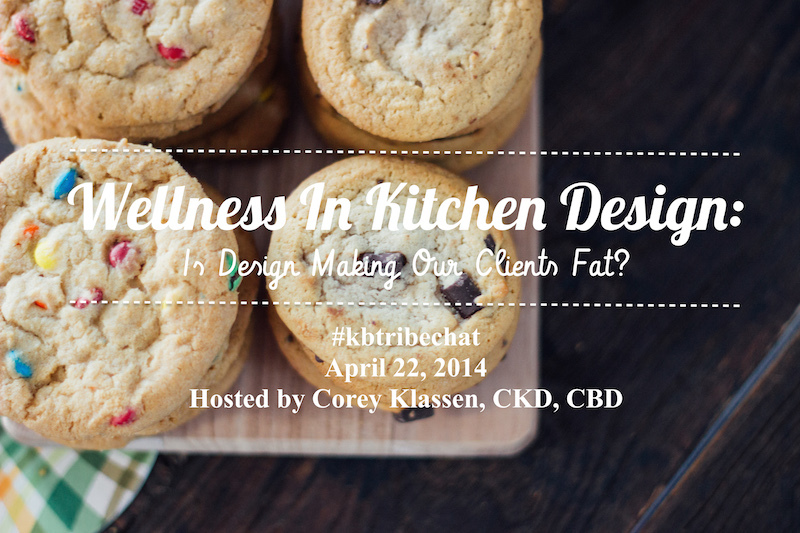 Wellness in Kitchen Design: Is Design Making Clients Fat? The managing editor of Treehugger Lloyd Alter, who is also an Adjunct Professor of sustainable design at Ryerson University School of Interior Design (Toronto) and a well published writer in Azure, The Guardian, and Huffington Post. The fundamental premise that current kitchen design methodology lacks awareness of consumer eating habits and that designers are causing unhealthy lifestyles might go against all the principals, standards, and ethics that we are taught and/or learn as skilled professionals. The reaction is quite visceral and real. Have we, Certified Kitchen Designers, Interior Designers who work as professional kitchen designers, or associated industries contributed to un-healthy homes for our clients? There is a new surge in the interior design and architectural field called “Wellness Design”. ASID has begun to shift their focus onto this topic and how they can help their membership and professionals become more nimble to the overall well-being of the end users – our clients. 1.) Is the intent of kitchen design to make our clients fat? 2.) What is “wellness design” in kitchen & bathroom design? 3.) Do K&B professionals require more curriculum & CEU’s on consumer habits? 4.) Has the state of the industry distracted us from this important consumer change? 5.) What are some updates we can make to planning to resolve unhealthy habits in the kitchen? Looks like a good one, Corey. Just when I thought I was guilted out to the max, one more thing to add to this kitchen designer’s shoulders, eh? I’m with you. Always hungry to add to my pantry of Wellness Design. I’ve also been in dialogue with Feel Good Theory in design.